Alpha breakfasts (March 24, 31 and April 7) We need a few more weeks of help. We are looking for 18 dozen muffins baked for March 31. If you can help, sign up below. 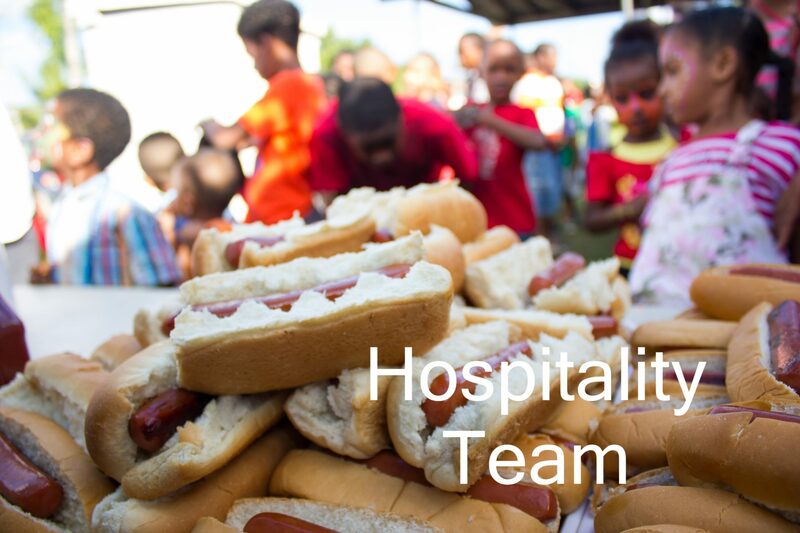 CPC will assist in pre-making up to 500 hotdog lunches for the Lunch and Hunt Saturday, April 20 – help needed from 8am-12 noon. Prep work will be needed to be done on Friday, April 19 between 9-11am. Interested in helping in either area? Sunday, April 28, immediately following the worship service. We host a luncheon for about 75 folks from New Hope! Want to assist in the prep, serving and or socializing with this church partner? THIS EVENT HAS BEEN POSTPONED. Watch the email for updates. Saturday, May 4, immediately following the worship service. We host a luncheon for about 20 potential new members, Elders, Deacons and staff. Responsibilities will be to pick up the lunch (chick fil a preordered boxes) at 11 am, then bring food back to CPC and set up in room 102. Sunday, May 5, immediately following worship service we will be hosting a Fresh Start One year anniversary celebration luncheon. We will be catering in a Cinco De Mayo dinner, so assisting with setup and serving will be needed. Tuesday, May 7 we are hosting a coffee hour for the teachers and staff of Mountain View Elementary -7:15am-8:30 am. Why not assist us with providing food, or set up and visiting with the staff.